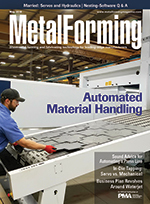 Increasing automation capabilities and decreasing costs are important reasons why metalformers, who have not looked at press-line automation options in the past couple of years, need to take another look at what's out there. 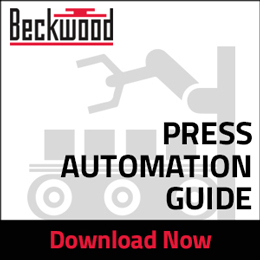 So says Josh Dixon, director of sales and marketing for Beckwood, the St. Louis, MO-based builder of hydraulic presses and specialty machinery. He offers his top-five press-line-automation suggestions for metalformers. Read more. The WEBER PT is the perfect deburring machine for lasered, punched and nibbled parts. 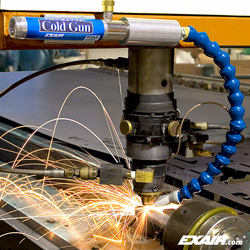 It handles deburring, rounding, descaling and surface grinding of thin sheets and heavy plates. Up to 4 grinding stations allow for all machining variations. 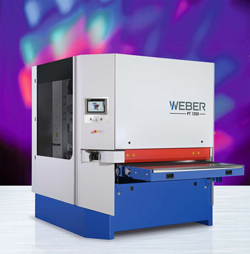 Improved accessibility for maintenance; modular design; and optional simultaneous top/bottom machining are just some of the advantages of the WEBER PT. This ISO 9001:2008 certified company offers high-quality, light-gauge stainless steel and copper alloy strip to the most exacting specifications, in gauges as light as .0018". Pristine quality assured with 100% surface inspection. Short lead times. 95%-plus on-time delivery. Quotes: www.heycometals.com/inquiries. Metalforming companies expect business conditions to remain fairly steady through June, according to the April 2018 Precision Metalforming Association (PMA) Business Conditions Report, based on responses from 123 participating companies. The monthly report shows that 42 percent of participants forecast an improvement in economic activity (compared to 49 percent in the March report), 52 percent expect no change (up from 45 percent in March) and only 6 percent anticipate a decline in activity (no change). Read more. Japanese manufacturing was up in April as output and domestic demand picked up, according to the Nikkei Japan Manufacturing Purchasing Managers Index (PMI). In fact, the index, now at 53.3, remained above the 50 threshold that separates expansion from contraction for the 20th consecutive month and rose for the first time in three months. Read more. Combilift Ltd., the Ireland-based manufacturer of customized materials-handling solutions, officially opened its 500,000-sq-ft., $48-million eco-friendly factory in Annahagh, Monaghan. Established in 1998 by Martin McVicar, managing director, and Robert Moffett, technical director, the privately held company developed its first multidirectional all-wheel drive, IC-engine-powered forklift in 1998. In its first year of operation, Combilift produced 18 units, 17 of which were exported. The company now has more than 40,000 units in operation in 85 countries, with 12,000 units in the United States and Canada. To stay ahead, Combilift spends 7 percent of its yearly revenue on research and development. Read more. 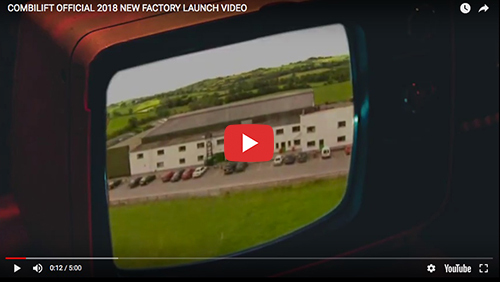 Evidence of Combilift Ltd.'s aggressive pursuit of the global market, especially North America, can be seen at the Irish company's newly opened factory in Monaghan, about 70 mi. north of Dublin, Ireland. Transporter®LP magnetic end-of-arm tooling is designed to transfer metal blanks, stampings and parts in automated and robotic applications. Engineered with powerful Rare Earth magnets, they will hold parts during power loss, minimize part shifting, provide more options for picking up perforated or odd parts, and reduce shop air costs significantly compared to vacuum cups. To meet rising demand for fabricated-metal products, this company purchased a 6-kW fiber laser. Three months later it bought an 8-kW model. 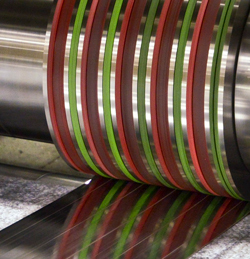 Here's what stampers need to consider when deciding which type of in-die tapping unit best fits the job at hand. 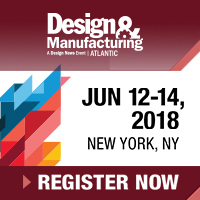 3D Metal Printing Experience and Tech Tour attendees will be able to interact directly with industry experts, learn about the latest technology developments for 3D metal printing and hear case-study applications for 3D metal printing. 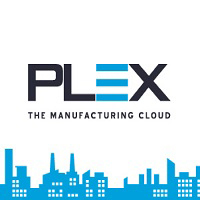 They'll also participate in exclusive plant tours at the GE Additive Customer Experience Center, and the Carnegie Mellon NextManufacturing Center, to engage with company representatives and view 3D metal-printing machines in action.